OMA / Reinier de Graaf’s Innovationen Tower has opened to the press this morning in the presence of OMA Partner Reiner de Graaf, Oscar Engelbert, CEO of Oscar Properties, Karin Björnsdotter Wanngård, Mayor of Stockholm, Torleif Falk, Stockholm’s City Architect and Ines Coppoolse, the Ambassador of the Netherlands to Sweden. 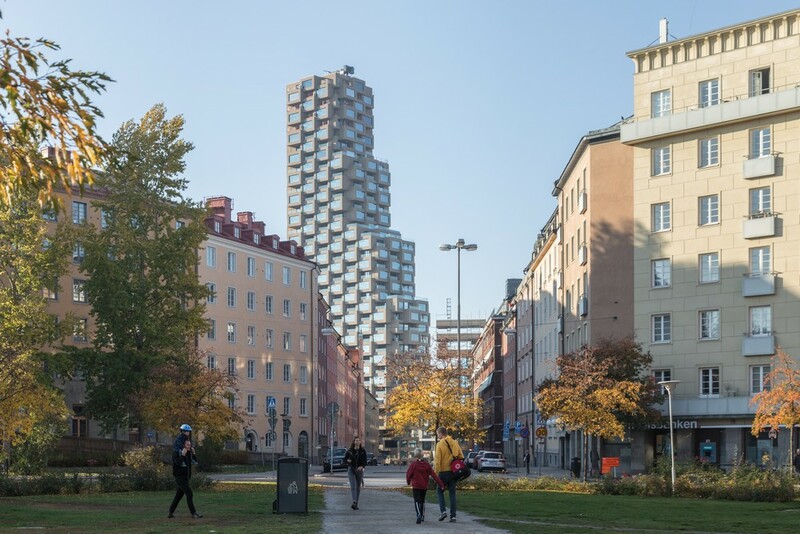 The Innovationen Tower is the first completed building of the two Norra Tornen residential towers designed by OMA / Reinier de Graaf and located in Hagastaden, a new district in the north of Stockholm developed around the Karolisnka Institute, which awards the Nobel Prize in Medicine. 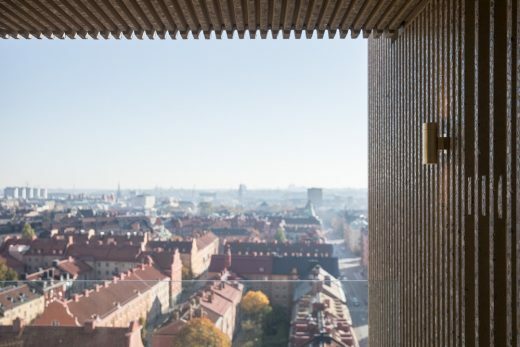 Norra Tornen’s design is the expression of a modular system of precast exposed concrete elements. 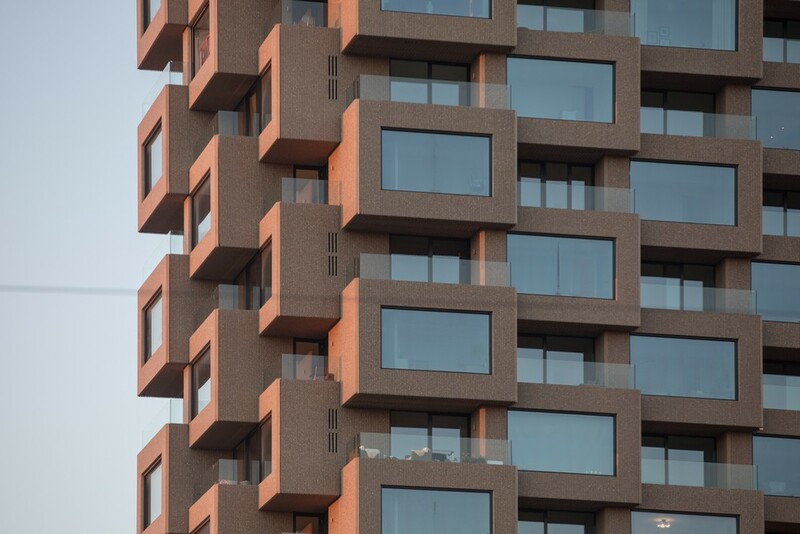 They articulate in a composition of alternating bay windows and recessed terraces – a tribute to Brutalist architecture, which, according to architecture critic Reyner Banham, was invented in Sweden. 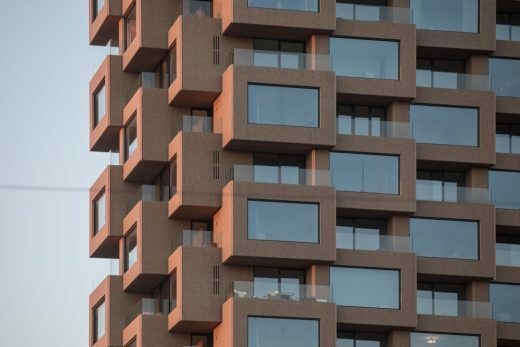 With a wall-to-floor ratio coming close to 1 the design would have probably discouraged most developers (for a tower, it rarely goes above 0.5). 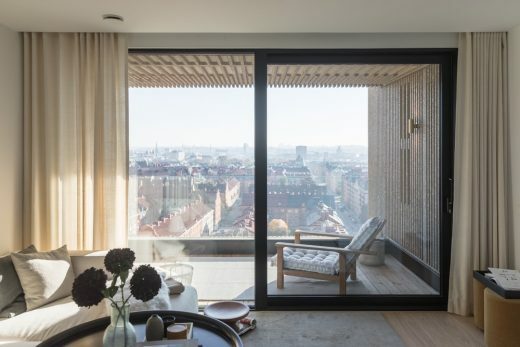 However, in a country with scarce daylight for half of the year, extra square meters of windows and multiple orientations for each apartment become a precious asset. 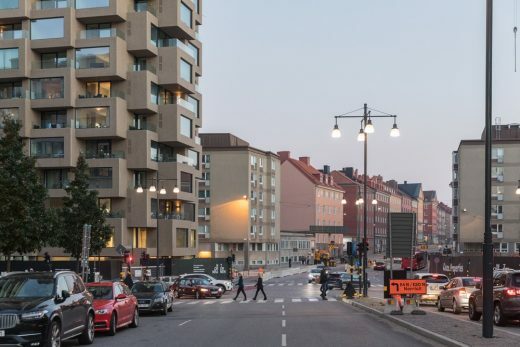 All apartments have been sold before construction broke ground. 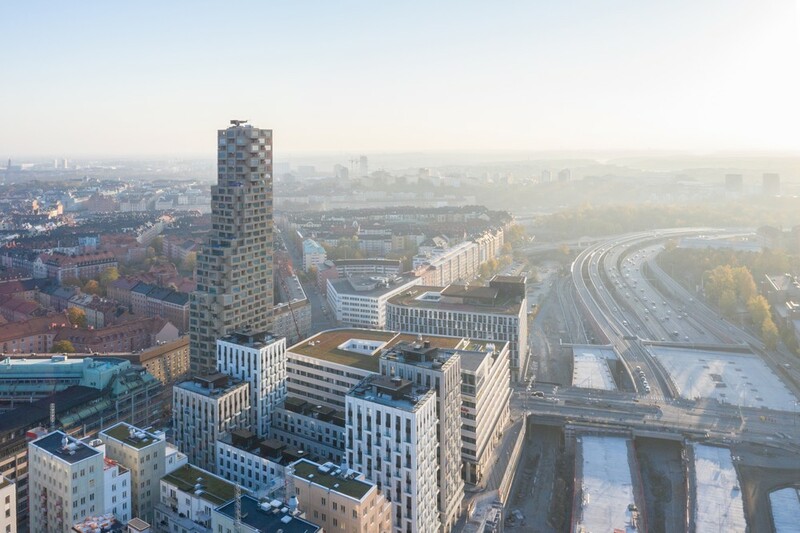 The Innovationen Tower comprises 182 units ranging from 44 sqm one-bedroom apartments to a 271 sqm penthouse on the top floor. 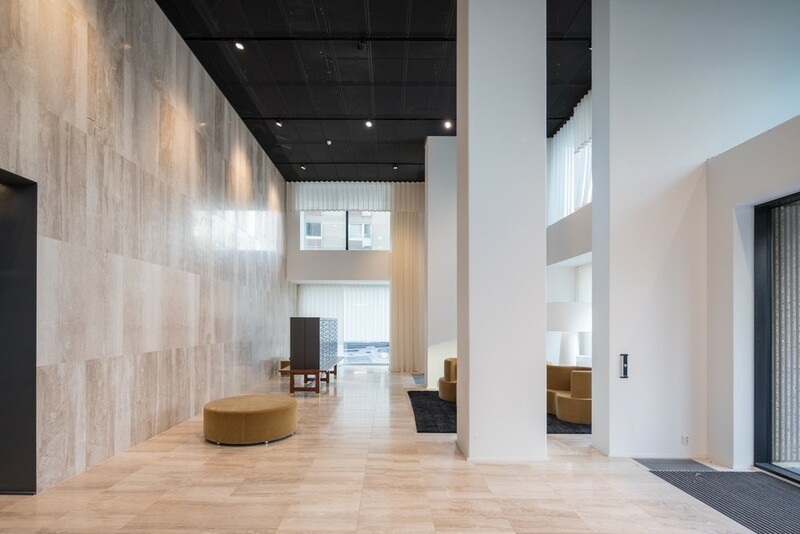 The residential units are complemented by a cinema room, a dinner room for parties and celebrations, a guest apartment, a gym with a sauna and a relaxation area. 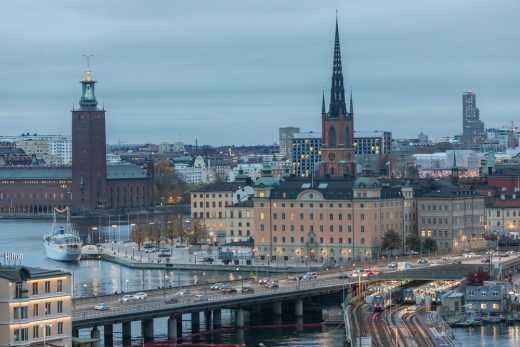 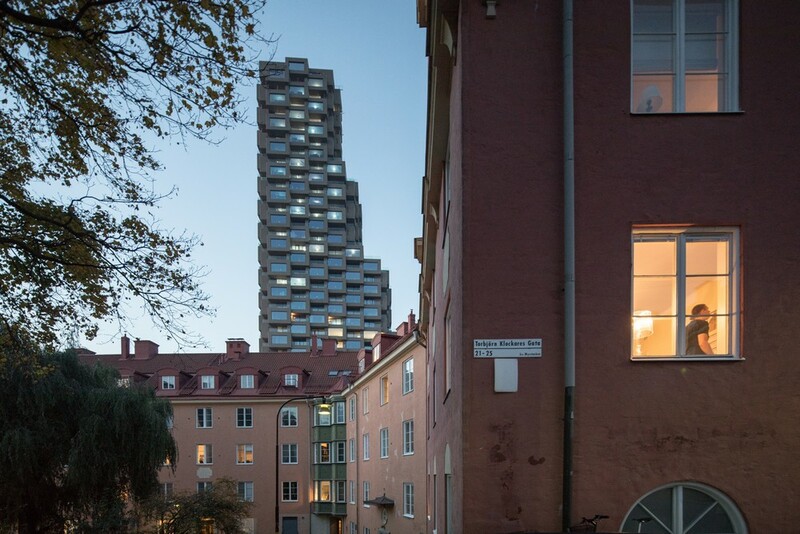 At a height of 125 meters, the tower is the highest residential building in Stockholm’s city center. 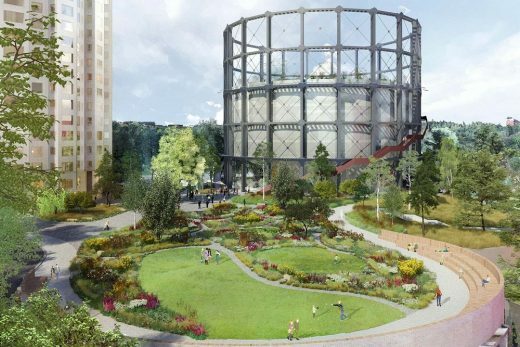 The Helix Tower is due to be completed at the end of 2019 and will include 138 units, plus amenities. In a city center with a housing stock largely built before the Second World War, the two towers introduce a new way of living which increases the city’s density while giving residents the possibility to enjoy outdoor space (Stockholm ranks fourth among the cities with the highest air quality in the European Union). 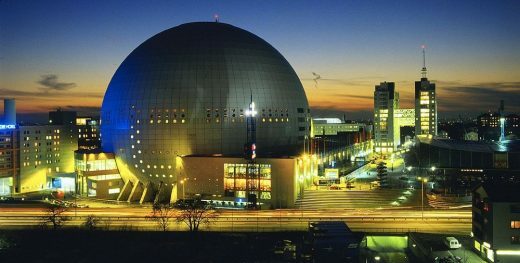 Norra Tornen is the result of a land allocation competition held by the City of Stockholm in 2013, won by Oscar Properties. 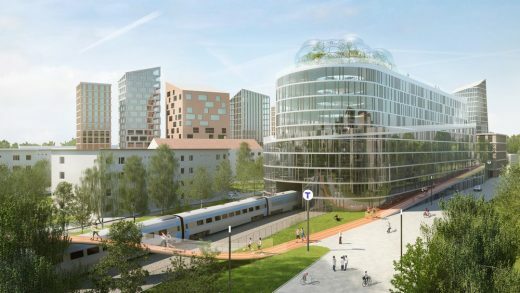 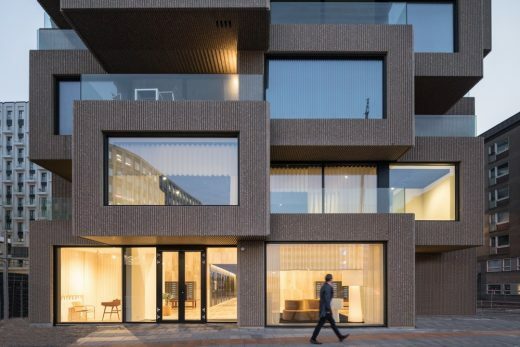 The project was led by Reinier de Graaf, with Alex de Jong, Michel van de Kar and Roza Matveeva. The inauguration of Norra Tornen is part of a one day event that includes the opening of BIG’s 79&Park, also commissioned by Oscar Properties, and a public debate at the KTH Royal Institute of Technology between Reinier de Graaf and Bjarke Ingels about the current status of architecture. Norra Tornen is OMA’s first built project in Sweden. 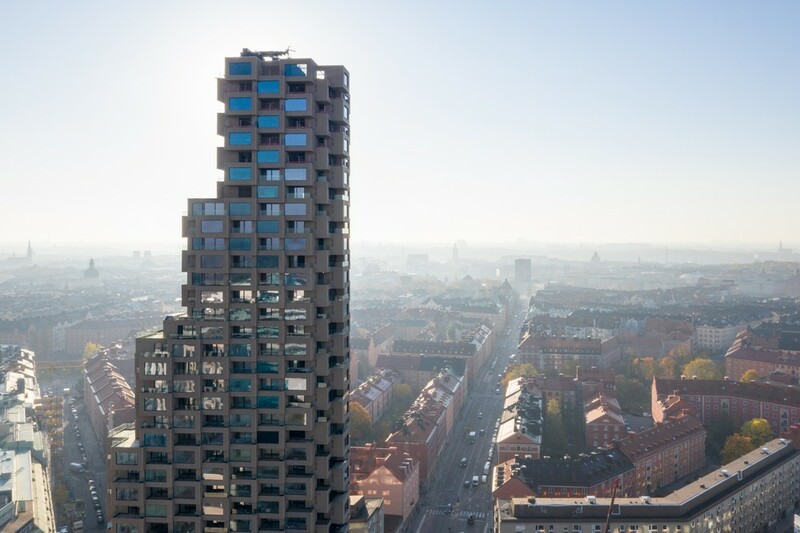 Norra Tornen is currently the highest residential building in Stockholm’s city center.